Item number 1886.1.866 in the collection of the Pitt Rivers Museum is a "Woodlands" paddle dated to at least 1858. 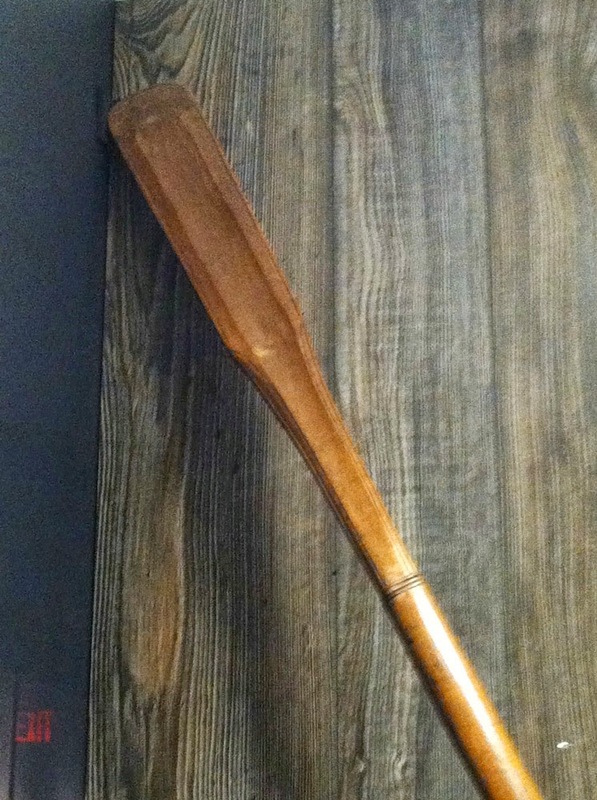 The paddle is described as having a leaf-shaped blade and decoratively carved band on handle. Place details: N AMERICA. Canada. I've begun to carve a similar paddle (out of yellow poplar stock) to replicate this design.